Former President Jimmy Carter said major policy changes are needed because the Iraq war has divided the nation “almost as much as Vietnam.””So there’s no doubt that our country is in much more danger now from terrorism than it would have been if we would have done what we should have done and stayed in Afghanistan,” he said Wednesday on the campaign trail with his son, Democratic U.S. Senate nominee Jack Carter. The former president said the Bush administration made a “terrible mistake” by invading Iraq and diverting troops from Afghanistan. 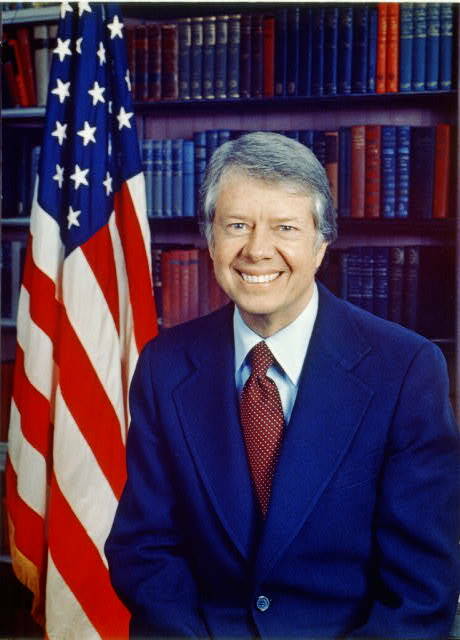 Jack Carter criticized his opponent, Republican Senator John Ensign, for supporting the Iraq war. Both Carters also said Defense Secretary Donald Rumsfeld should go. Michael Scheuer, the CIA’s top expert on Al Qaeda author of “Imperial Hubris” said it and additionally he said that Bin Laden could not have wished for a nicer present from GW Bush. When Bush invaded an oil rich Arab country which had not attacked the USA, bush confirmed to Arabs what Bin Laden had been telling them for years. Bush increased Bin Laden’s credibility among modreate Arabs and greatly aided recruitment to Al qaeda. The National Intellegence estimate which is the consensis of over 15 US intellegence agencies said the same thing.